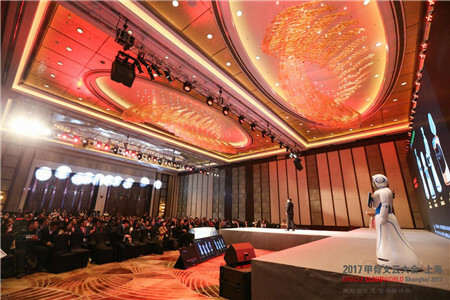 In November 8 this month, the Oracle CloudWorld Shanghai 2017 was grandly hosted in Kerry Hotel Pudong, Shanghai, successfully catching sights of over 2,500 business magnates, industry mogul, bellwether entrepreneur and all other cooperative business partners gathering together, in addition to thousands of professional attendees simultaneously watching live broadcast in parallel sessions. 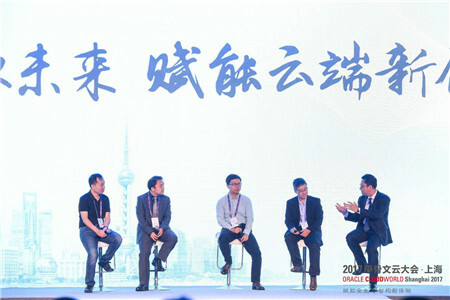 The conference, with its topic centred in “Fuel Up Entire Ecology, Intelligently Shape New Experience” ranked as one of the top authoritative gathering in China cloud computing field, was about to profoundly discuss digitized transferring in an age of intelligence and new path on experience economy, sharing insights and collision of thoughts. 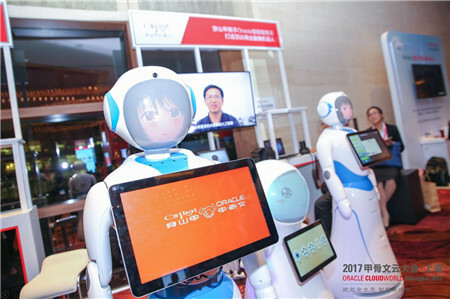 As one of the exclusively invited VIP guests of Oracle China, Pangolin Robot attended the conference by presence of intelligent marketing service robot solutions to entire service industries and practical cases applied to operation. Topics brought up such whole new experience as eminently demonstrate flexibly safe IaaS, PaaS endowed with Oracle’s advanced technology strength and SaaS of creative intelligence that helped reach into an overall upgrading level. But above all, other distinguished presenters and cooperative enterprises from IDC, Baheal Intelligence Technology, IFLYTEK, Lenovo, BYD, NAV Info, Suntak, etc. showed their sharing participation, probed remarably into enterprise experiences as to brand innovation, firm growth, cloud enterprise data center, hybrid cloud, imparted energy to whole ecological sustainable development as well as achievements on value innovation. 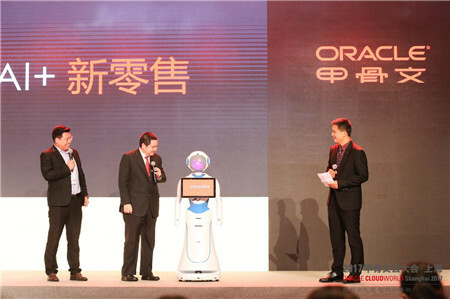 Suzhou Pangolin Robot Corp., Ltd has been dedicating to her enterprise strategy upgrade in recent years by fully immergence to big data and cloud transformation, specially concentrating on research and development, manufacturing, sales of commercial service robots in order to facilitate multiple scenarios in terms of bank, hospitality, malls, catering and etc. as much as more convenient service experience. 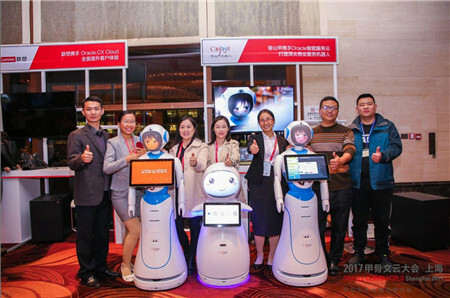 Known as the top commercial service robot manufacturer, Pangolin Robot provides it from robot production to custom service as a pioneer brand in global service robot industry that enables herself obtain strong informationalized support at different developing stage. It is the thorough discernment to direction towards artificial intelligence industry upgrade and grasp on future trend that continuously promote Pangolin Robot, as a brand leader, to make contributions to building smart factories, by means of synergy with excellent integration system, realize user personalized customization, enhance core competitiveness and usher the global service robot development. 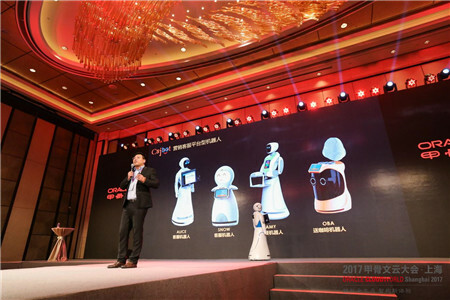 Mr Song Yugang, the CEO and President of Pangolin Robot, unveiled his company strategic planning by an integrated combination of Marketing Customer Service Robot+ AI+ New Retailing, which more explicitly revealed the core essence “Customer Oriented” of Pangolin Robot in their new retailing concept eventually resulting in an increasing quality service to more and more general clients. Song also pointed out that it is our destined mission to introduce robots made in China to every corner of the world, rendering more majority have access to the last greatest invention of our human being. Meanwhile, Pangolin Robot adheres firmly to the principle of mutual cooperation with partners and companions, the goal of mutual development and mutual creation a bra-new intelligent life of wisdom!